American Airlines and the NAACP on Thursday said they look forward to discussing together allegations of discrimination against passengers of the largest U.S. airline. The comments came two days after the NAACP issued an advisory that warned the public, African-American travelers in particular, against choosing the carrier because of a risk of "discriminatory and unsafe conditions." 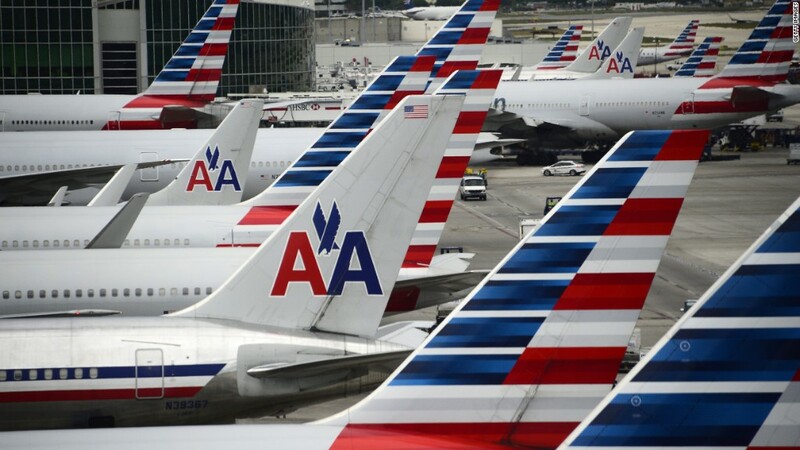 "The NAACP looks forward to meeting with American Airlines leadership to address these issues of alleged racism and inappropriate and disparate treatment of people of color," said NAACP spokesman Malik Russell, in an emailed statement. American Airlines CEO Doug Parker said Thursday on an earnings call with analysts that the airline looked forward to discussing the matter. On Tuesday, the NAACP issued an advisory against American Airlines, citing four recent incidents in which African-American passengers said they were discriminated against by the airline, including one high-profile incident in which an activist said that she was ordered off the plane after a dispute over a change in her seat assignment. The NAACP, the nation's oldest civil rights organization, said its advisory alerted "travelers — especially African Americans — to exercise caution, in that booking and boarding flights on American Airlines could subject them disrespectful, discriminatory or unsafe conditions." "Discrimination, exclusion and unconscious biases are enormous problems that no one's mastered and we would never suggest that we have it all figured out," Parker said on the quarterly earnings call. "We would never suggest that we have it all figured out. What we know is we want to keep learning and we want to get even better."